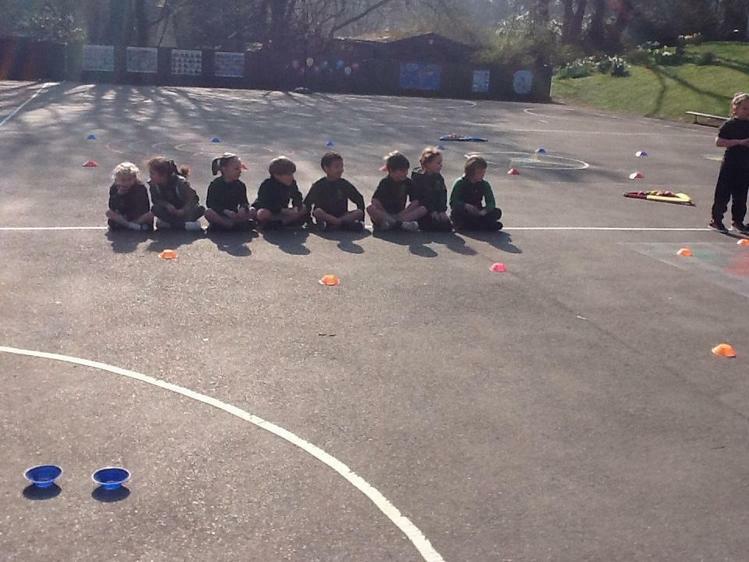 We have made it to the end of another term! 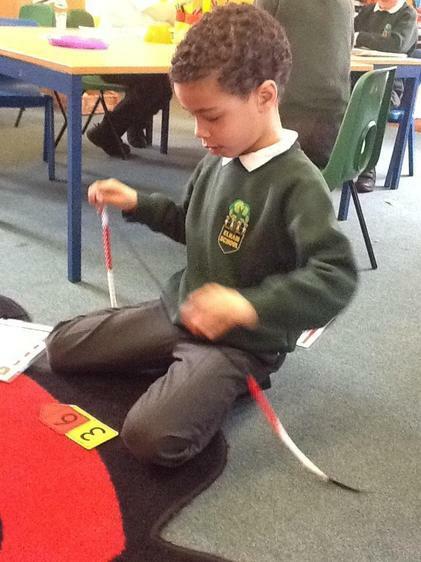 This week the children have all been assessed against the targets stuck in their reading records and you will be able to see if they have reached them or if the targets are ongoing. 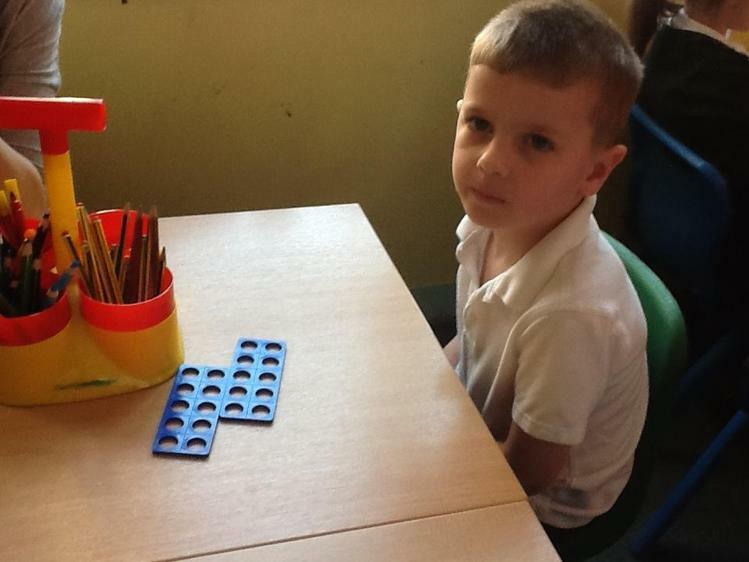 You will have noticed that even if a target is not met your child will receive a new target to be working at, as it can be demoralising to keep having to plug away at one particular thing. 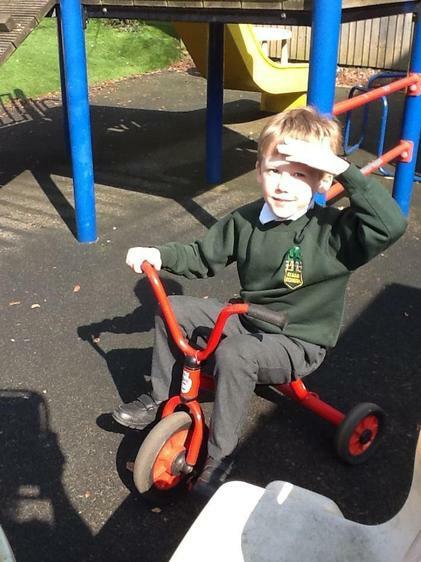 Unachieved targets will always be picked up later on! 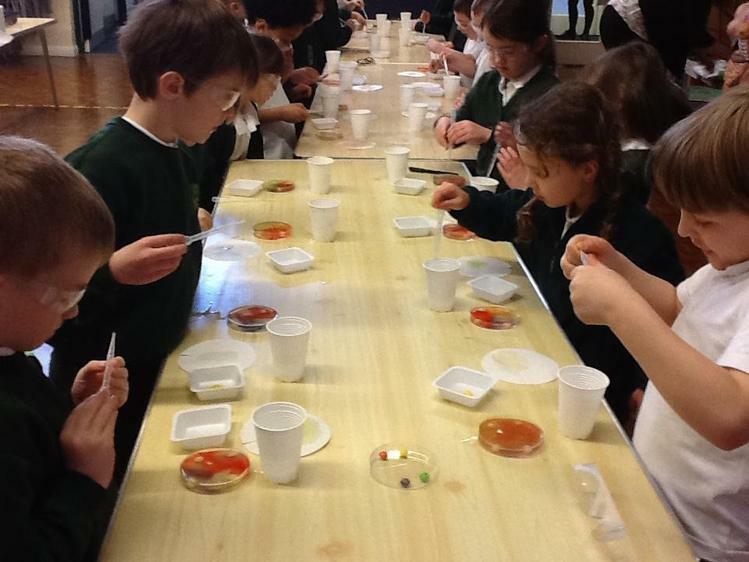 Please note there are no spellings in the reading records for the holidays. 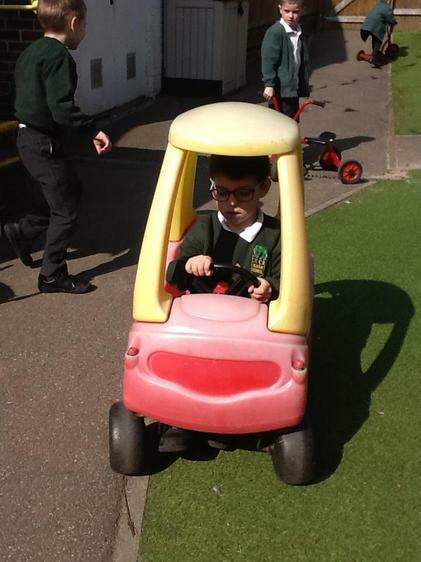 We want the children to have a proper break from school! 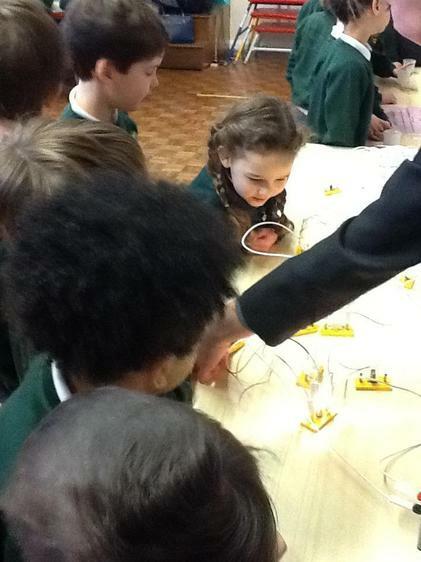 Have a lovely break and see you all next term. 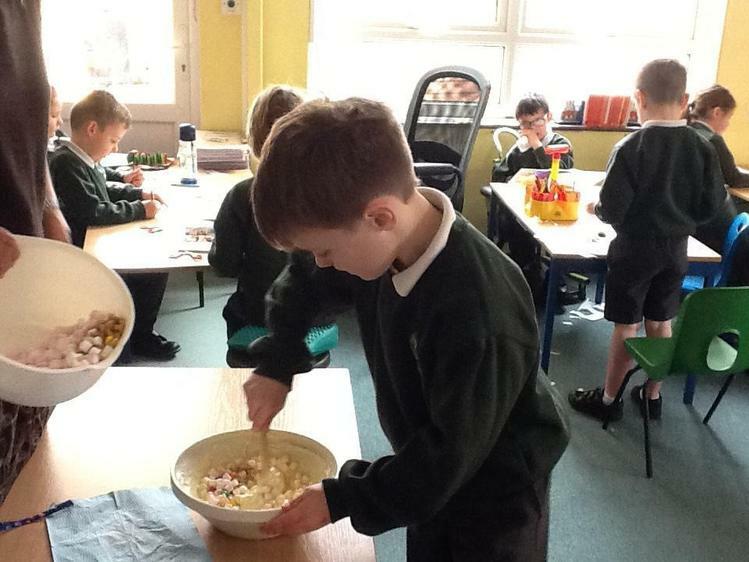 The children have come home with their basket work, lovely home made chocolate cakes from Mrs Pullen and a piece of rocky road they made in class today. 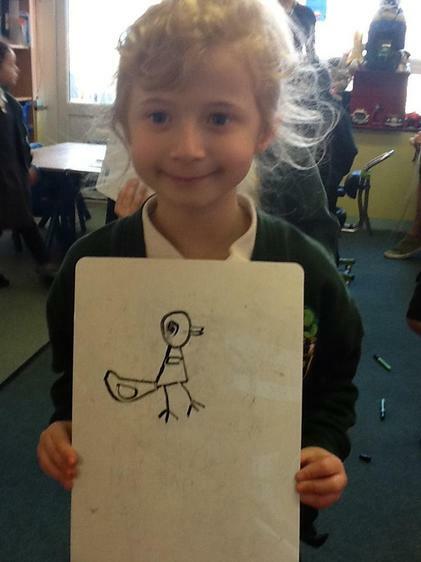 It was very good to catch up with nearly all of you this week. 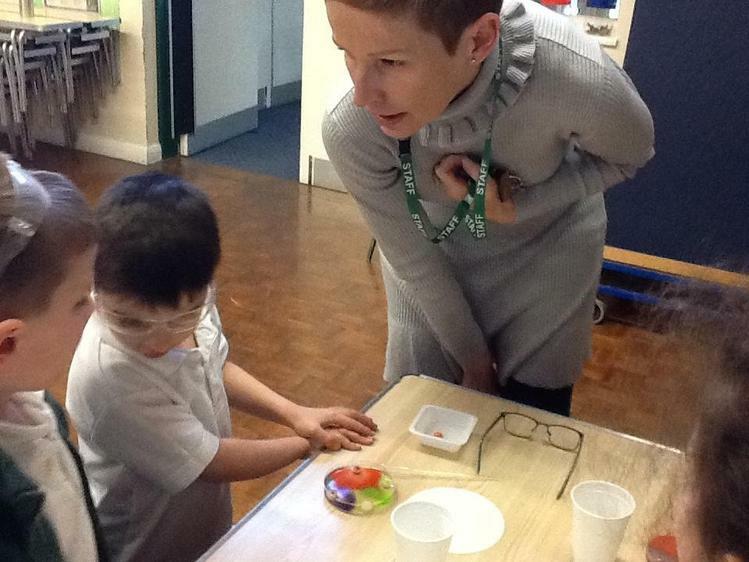 Please remember that if you would like to book more time to discuss your child's learning we are happy to arrange other meetings. 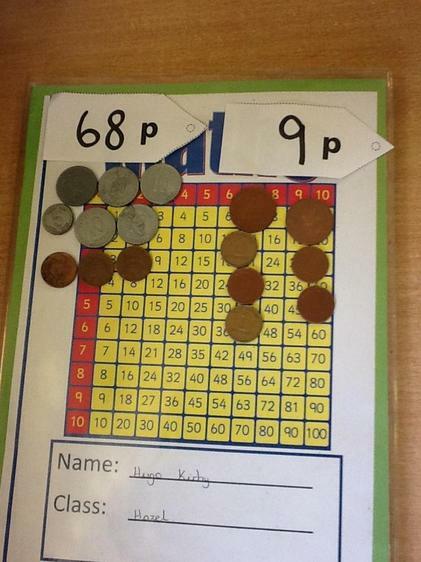 The 10 minute slots are short and I know some of you would like longer. 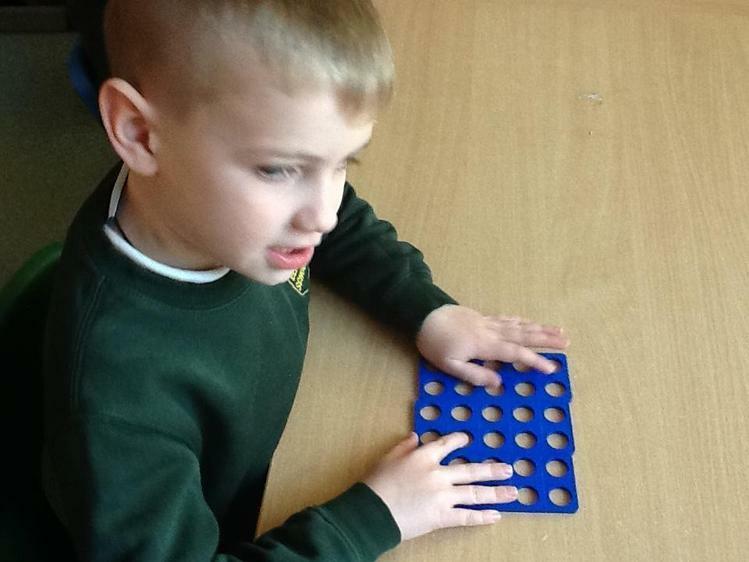 Below are some pictures to show you the manipulatives we use in class to help the children understand the values of each digit in a number. 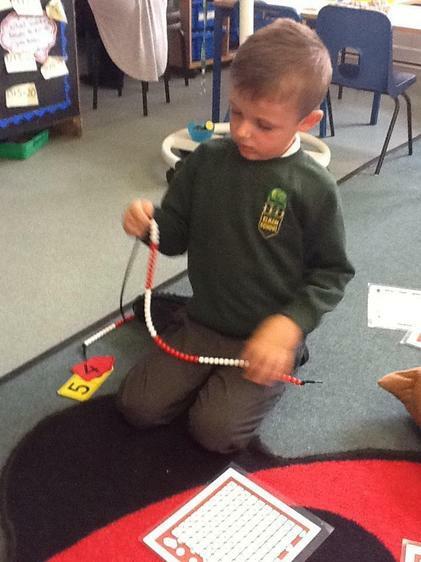 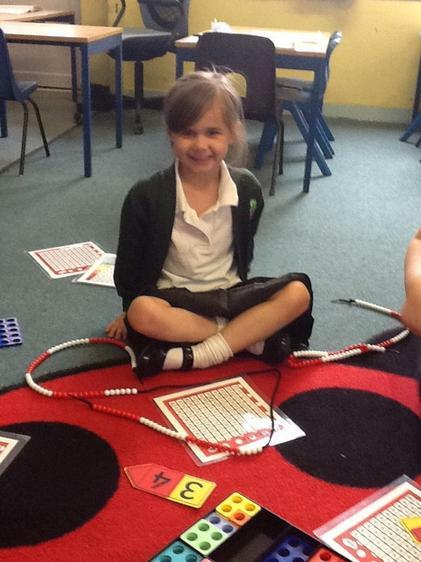 Bead strings, numicon, tens and ones, coins and place value cards are all really useful, visual tools for them at this early age! 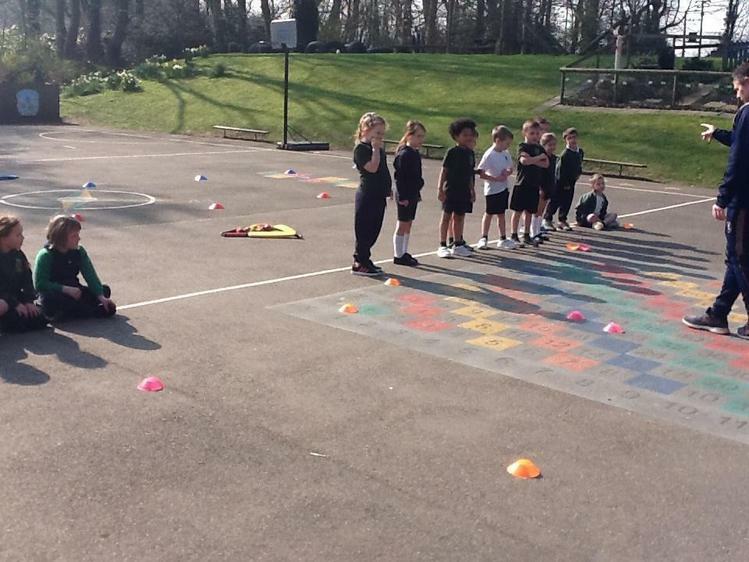 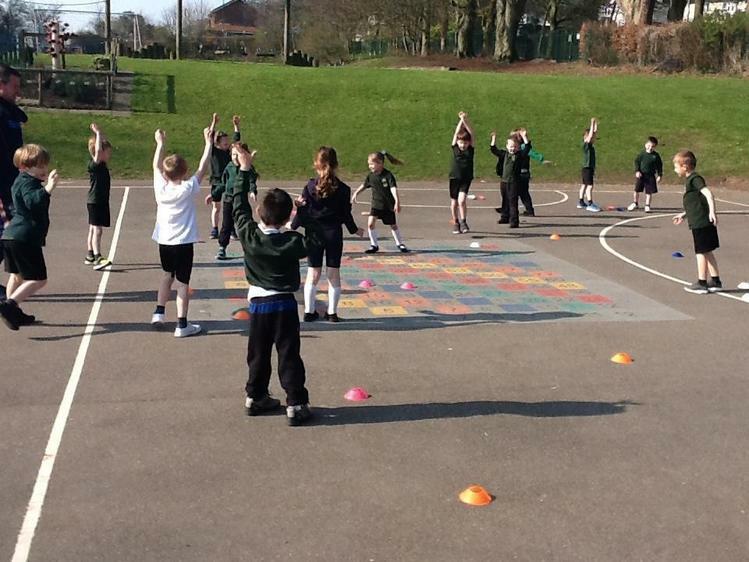 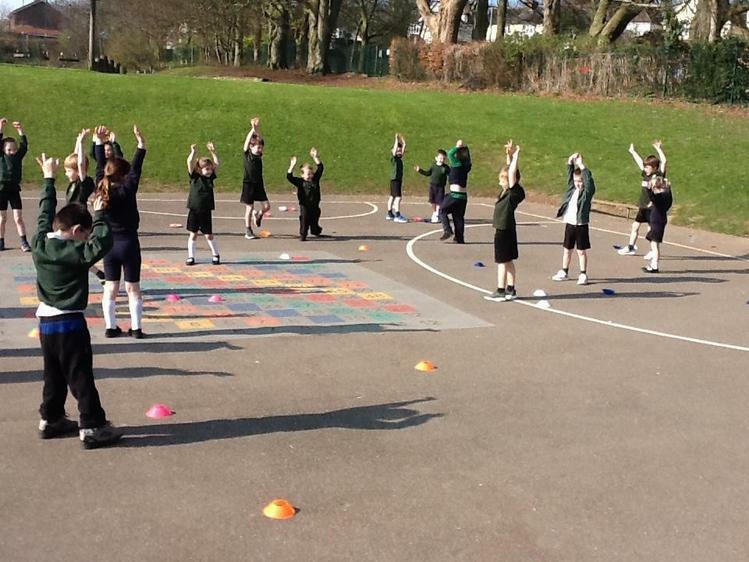 A cricket session was an unexpected treat for the children! 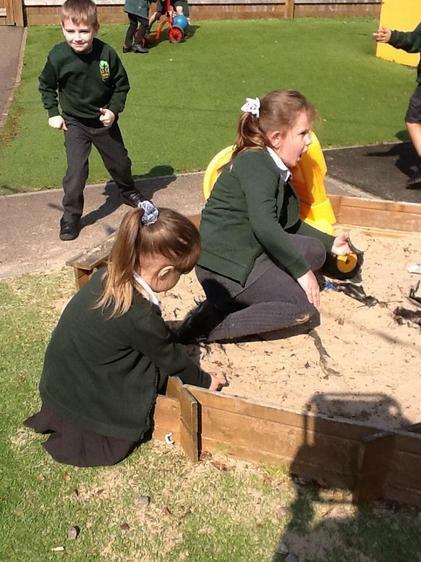 So was spending break in Acorn's playground! 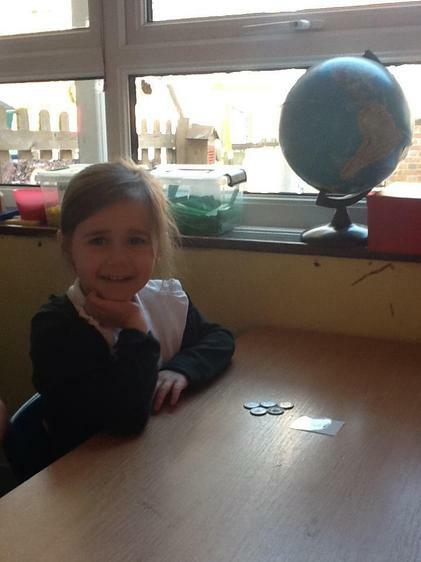 Firstly, apologies for there being no spellings this week. 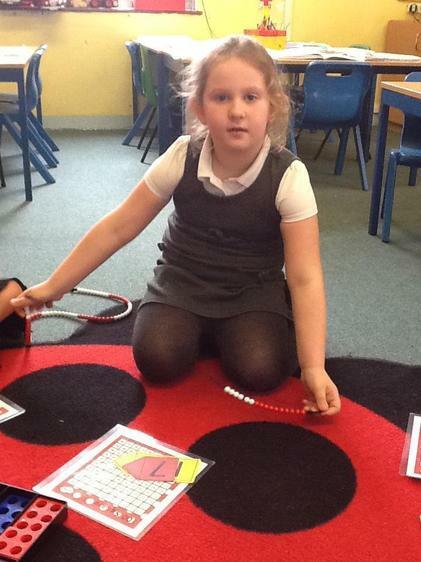 We are back on track and the children have had their spellings stuck in for Friday's next spelling text. 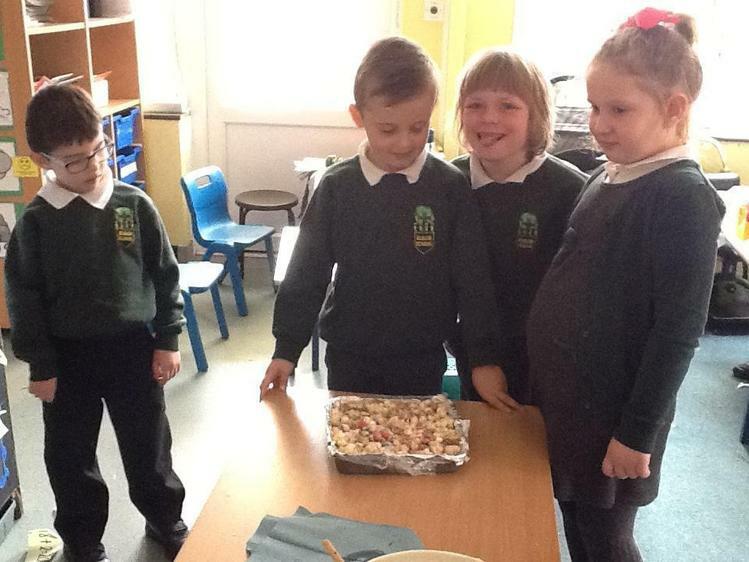 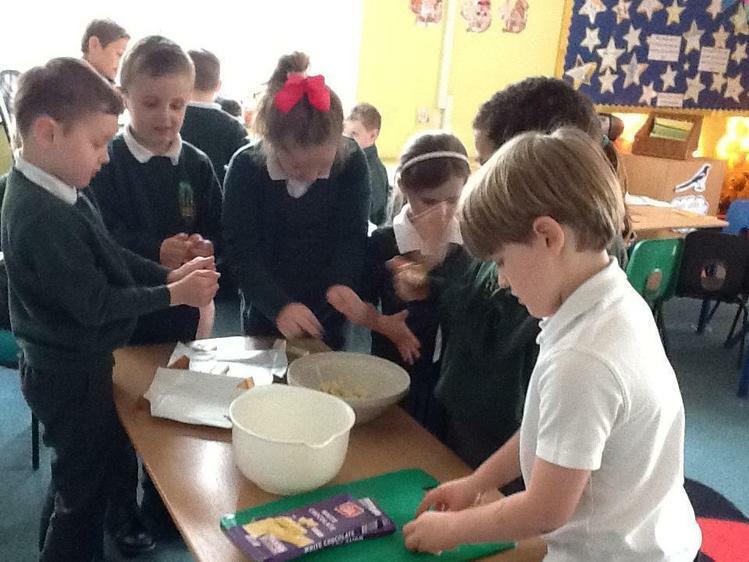 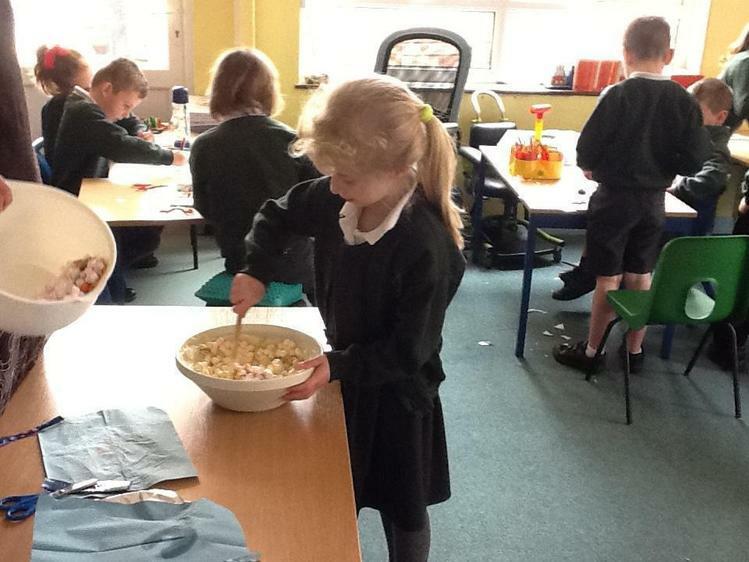 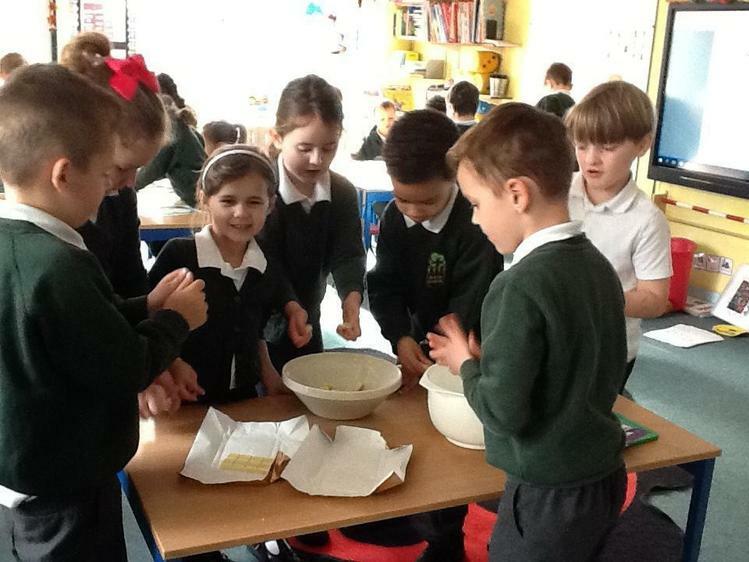 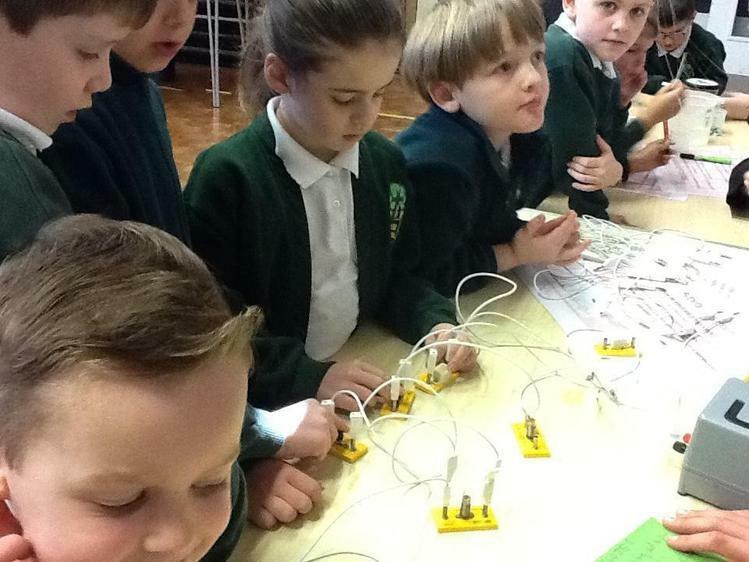 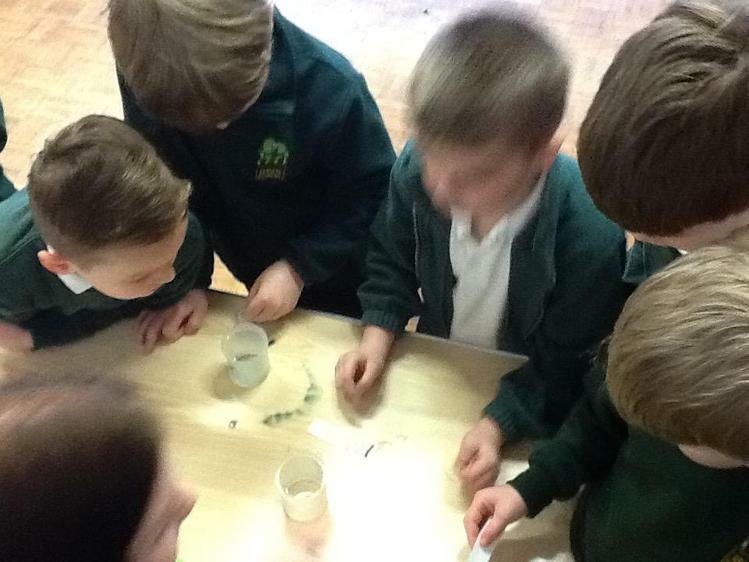 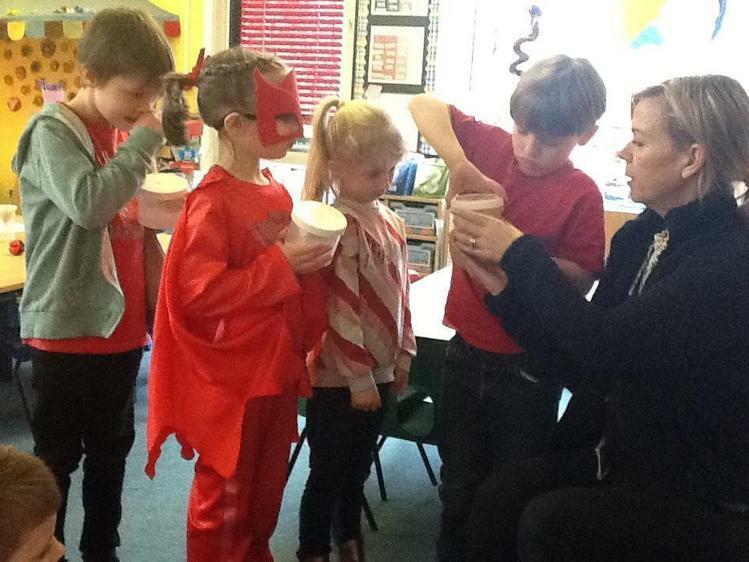 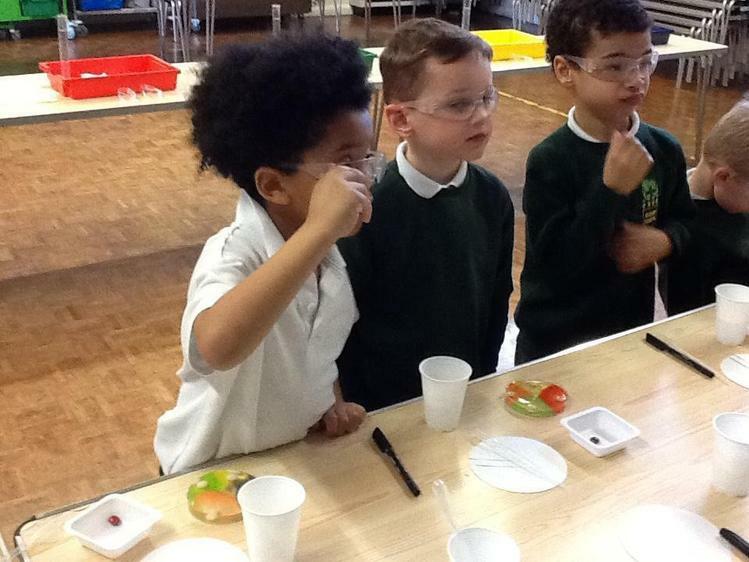 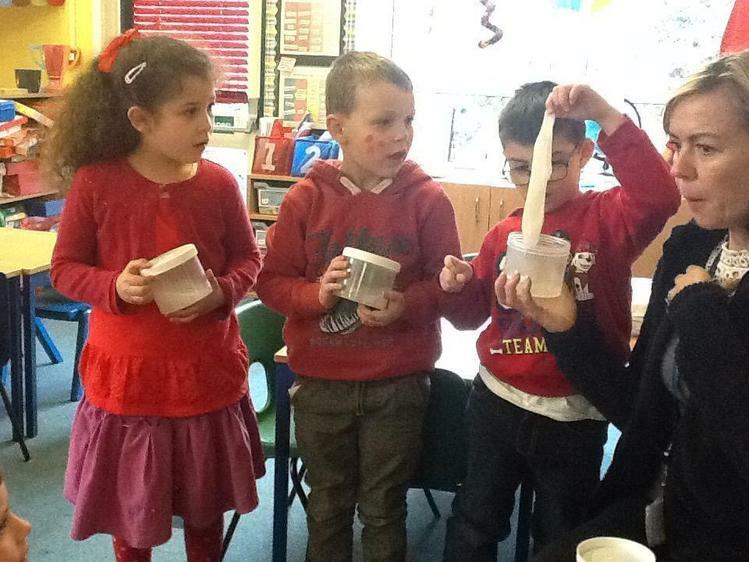 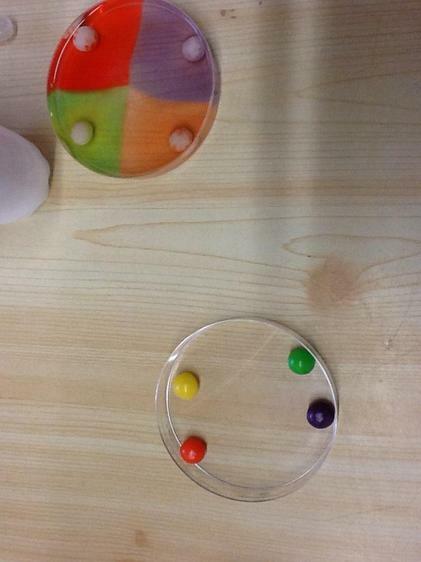 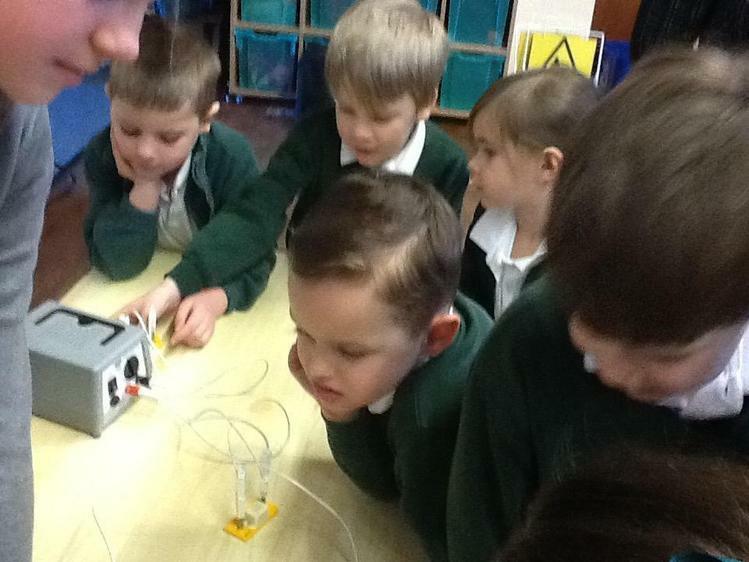 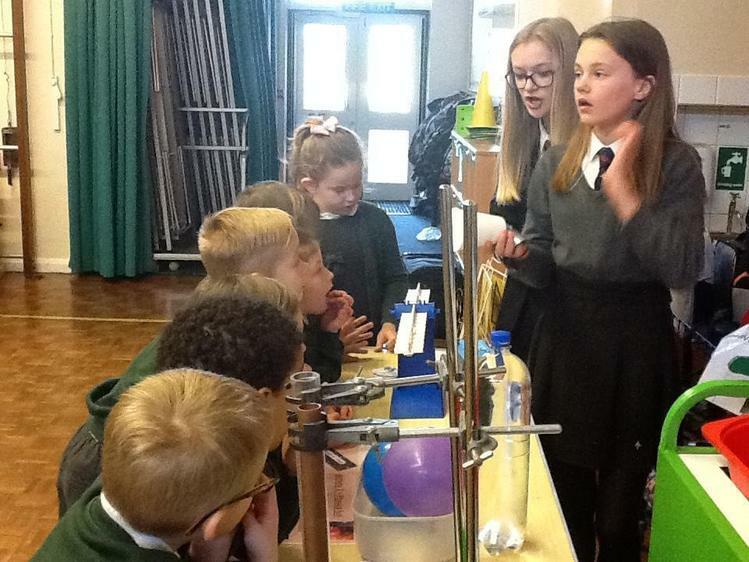 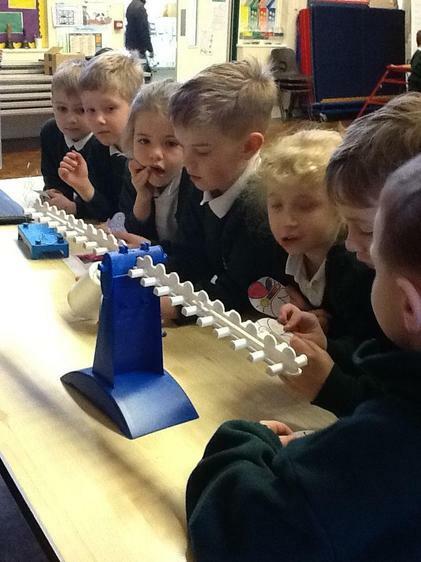 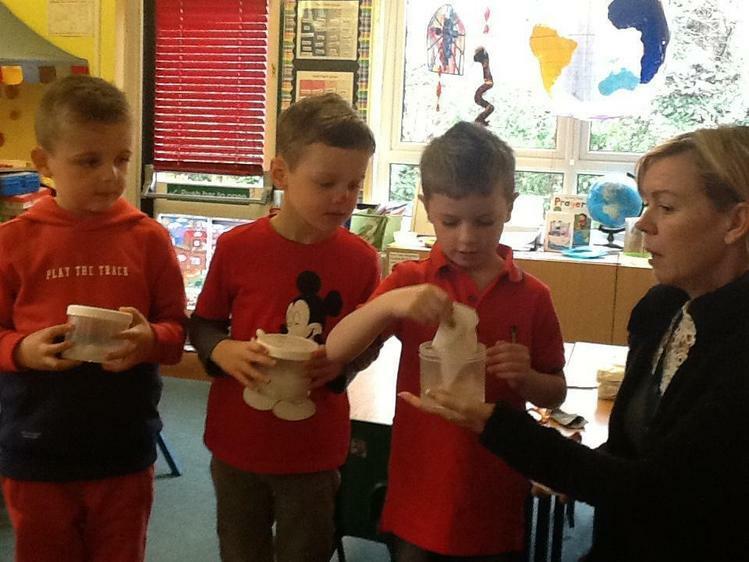 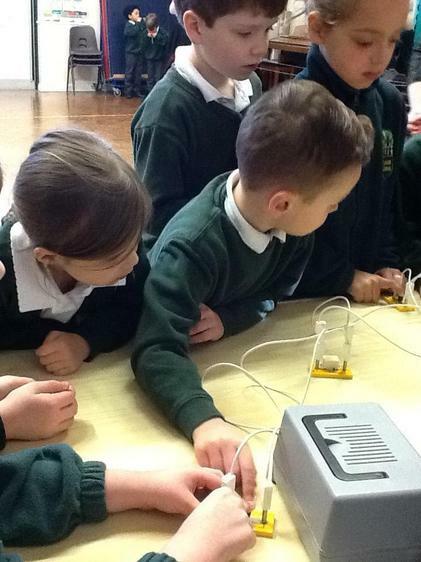 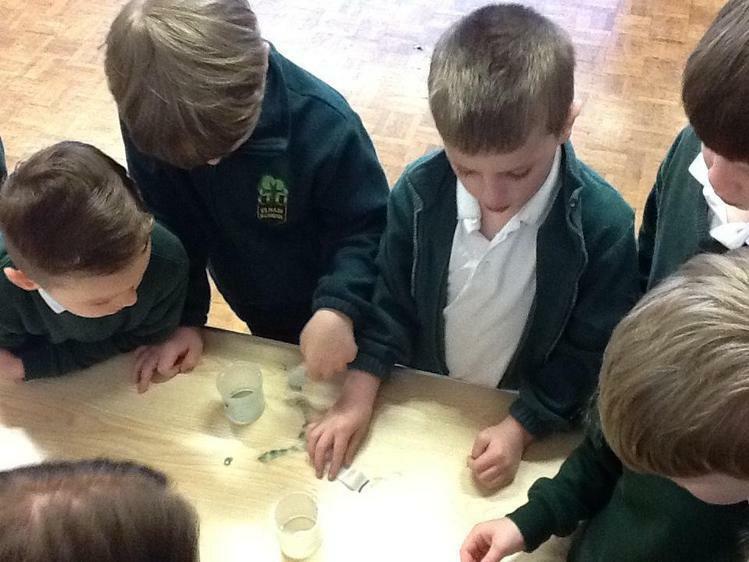 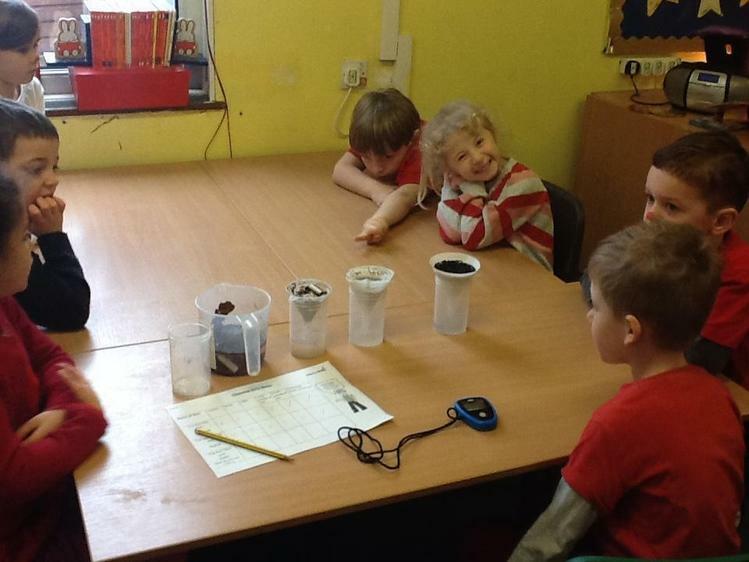 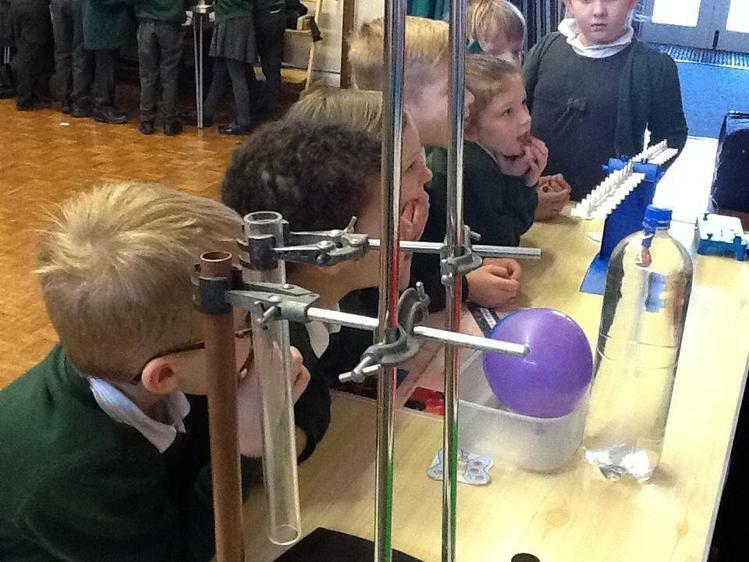 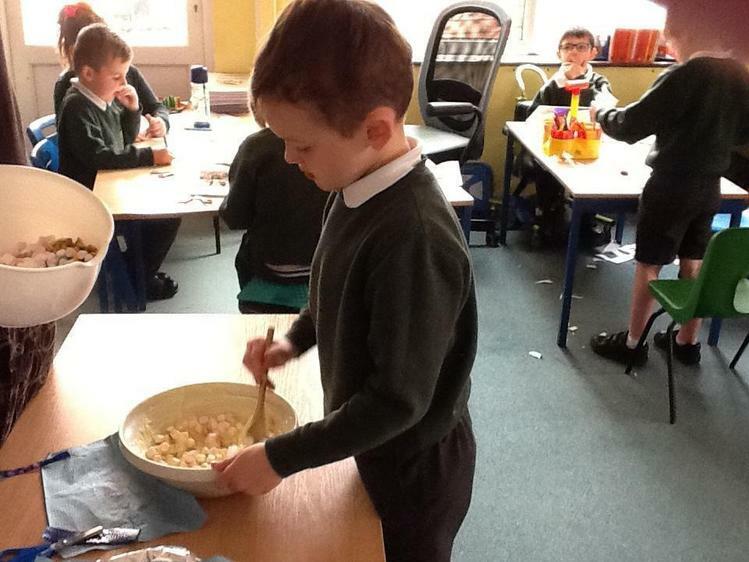 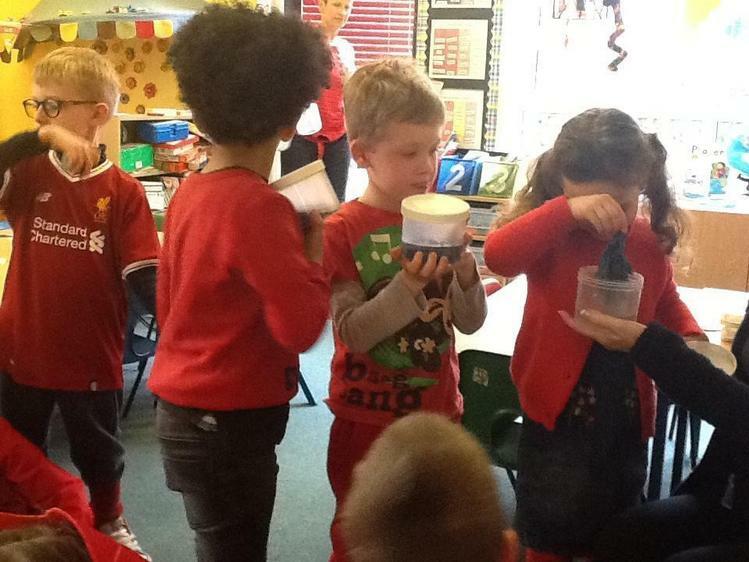 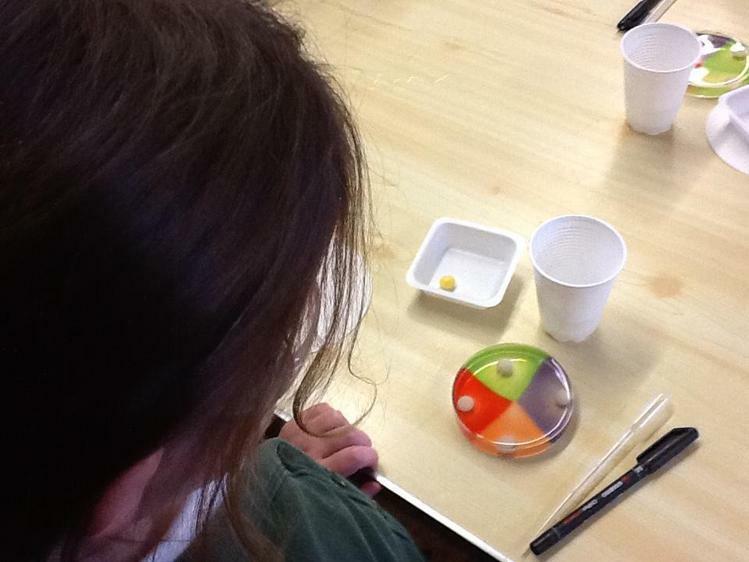 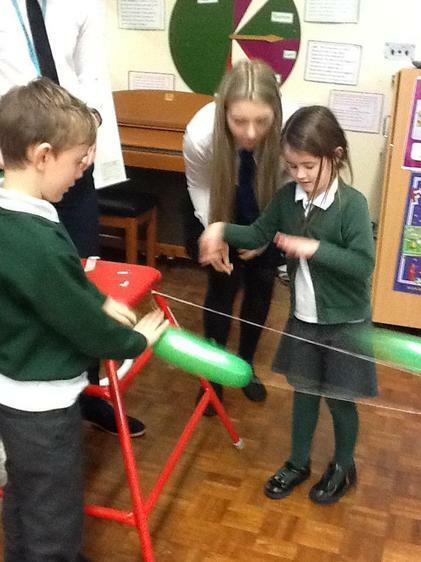 Science week has been a great success with the children! 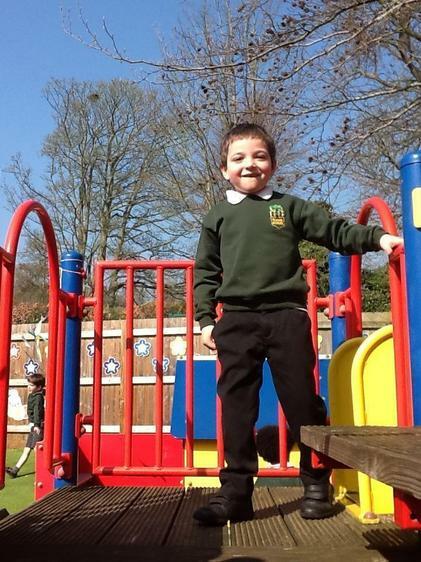 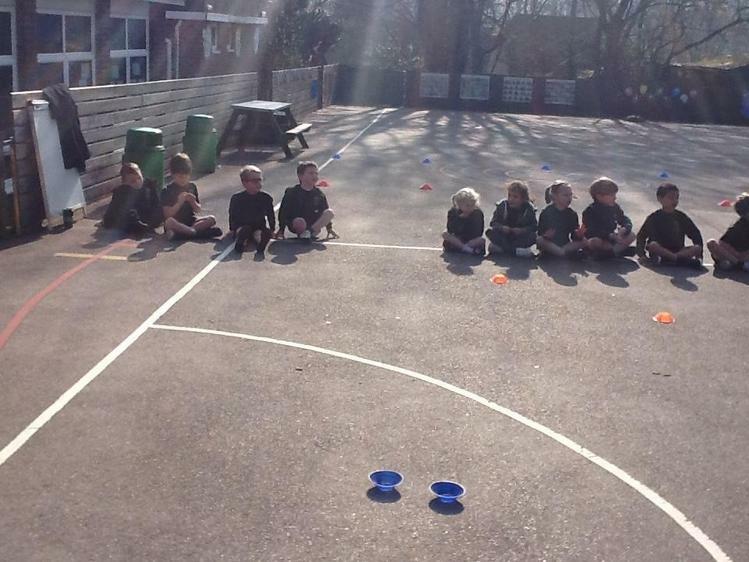 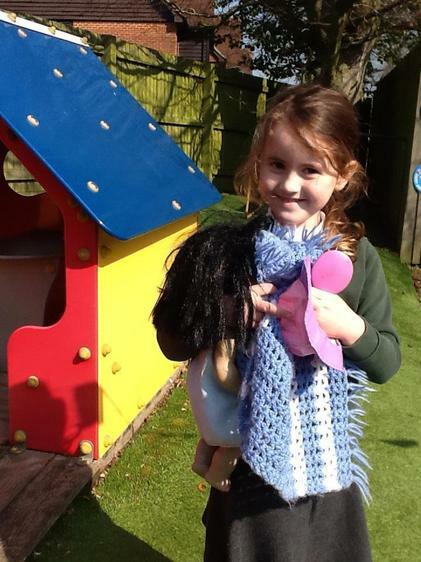 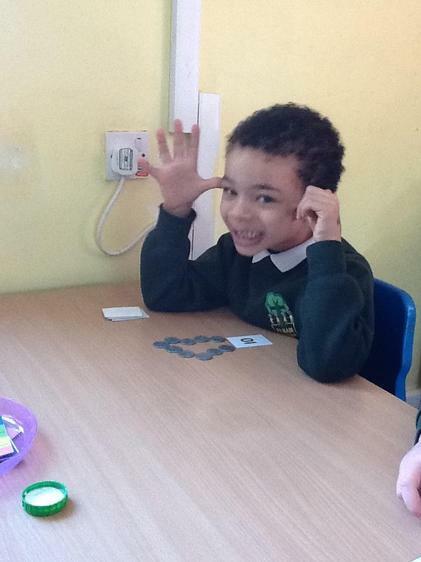 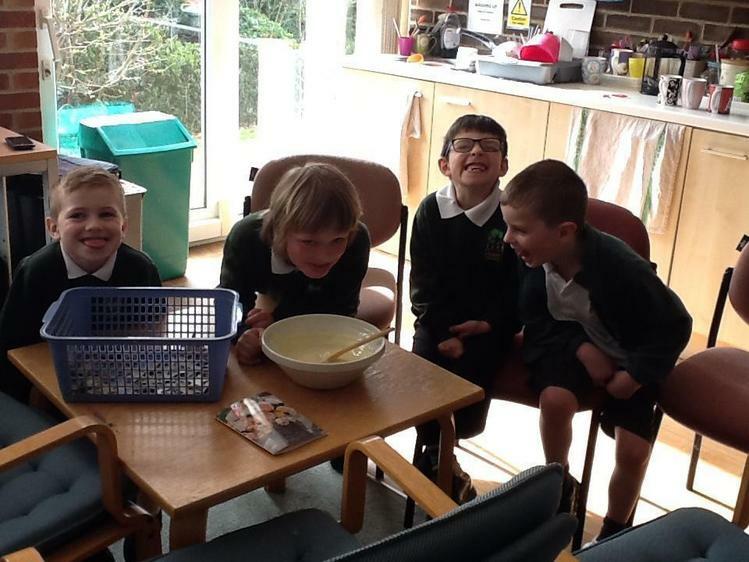 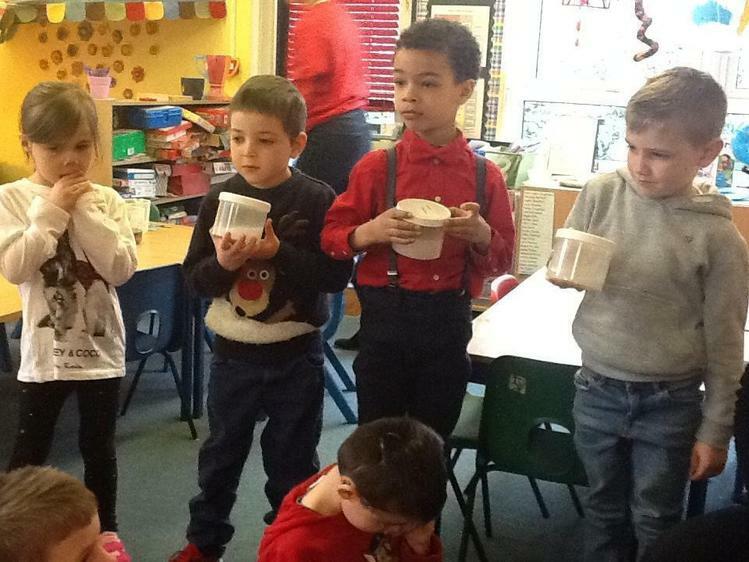 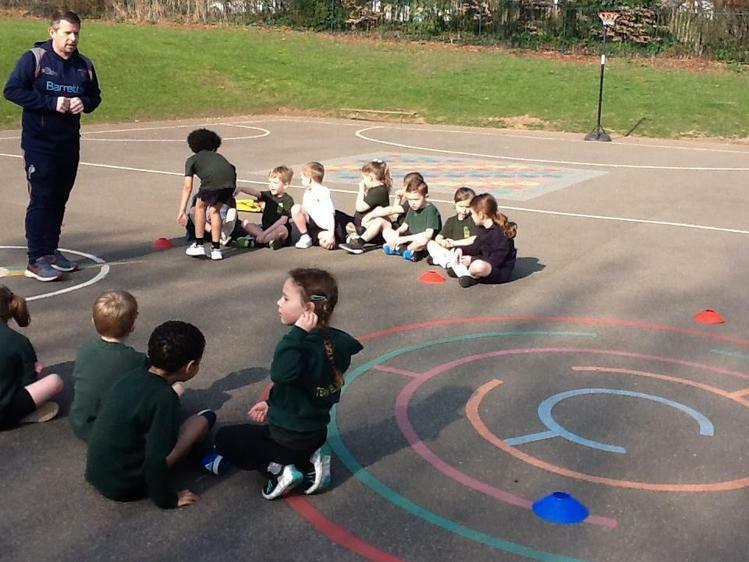 They have had different activities every day and thoroughly enjoyed them. 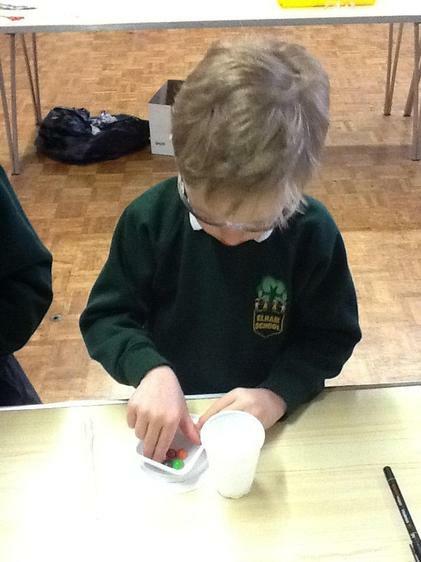 Below are photos for you to see what they have been doing. 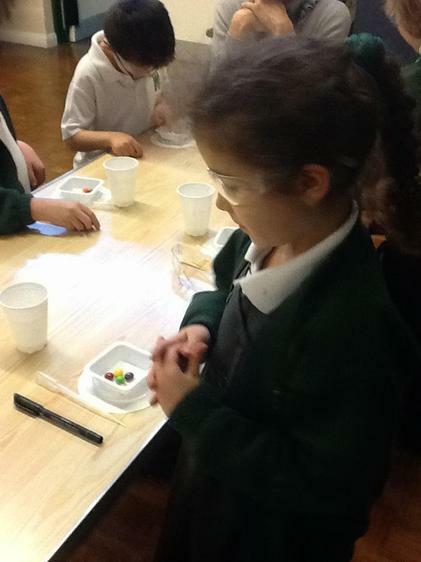 looking at what M&Ms are coated with! 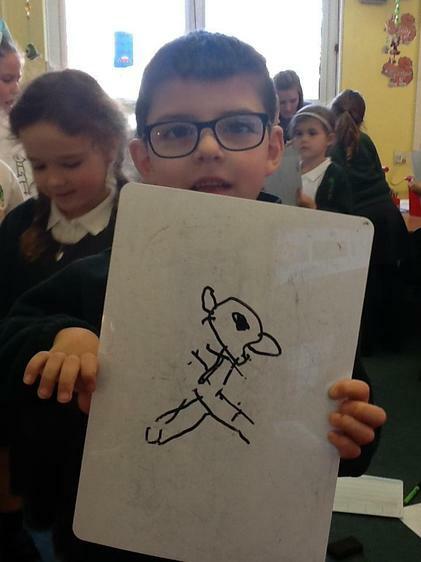 Today we had our first SRE lesson. 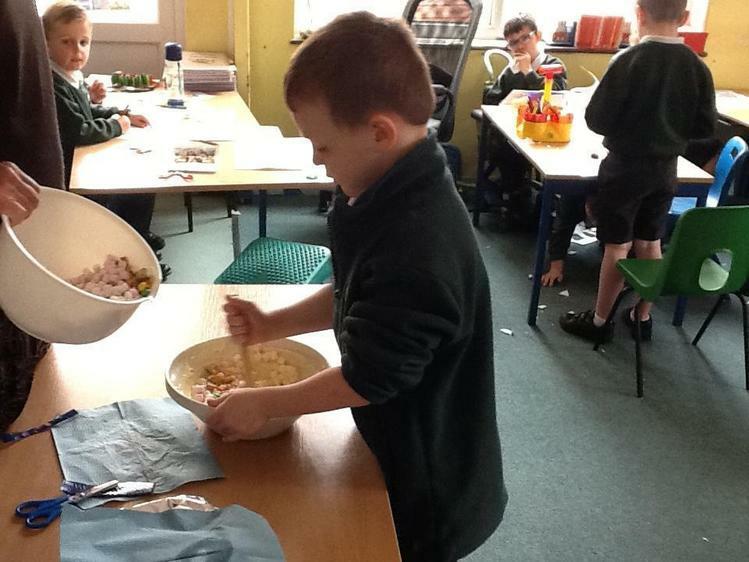 You can find the lesson plans on the website. 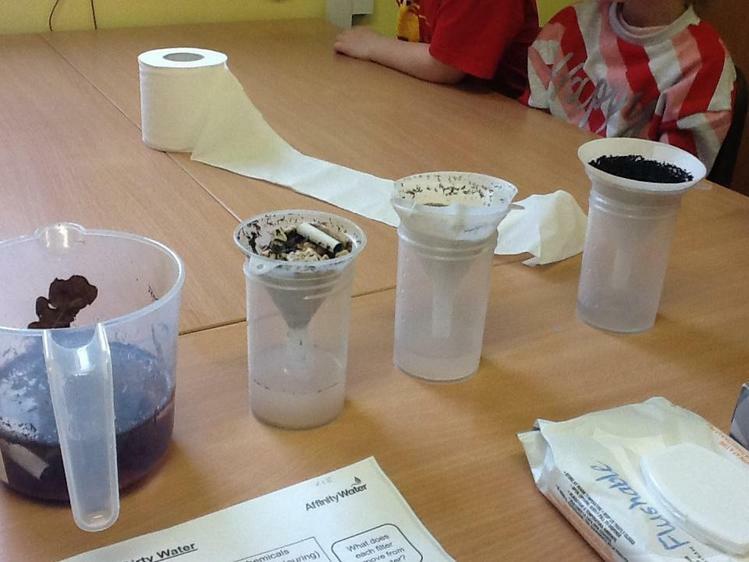 Today's was about keeping clean and the children were very knowledgeable about the subject. 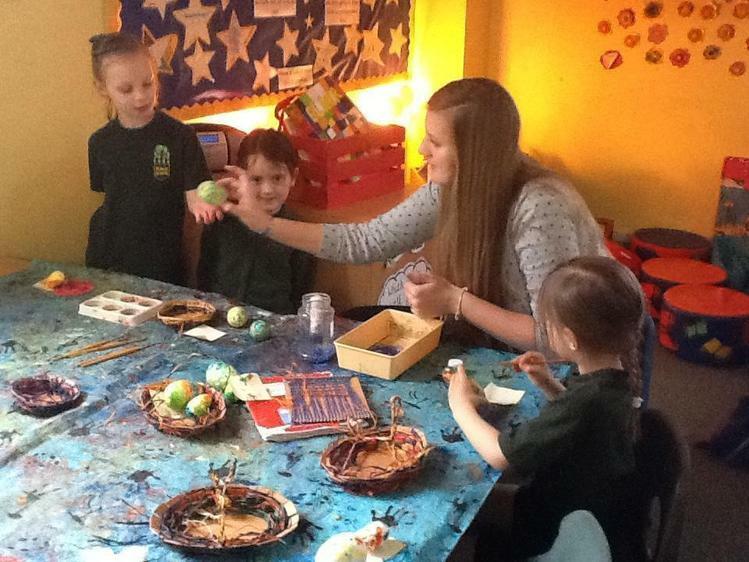 Future lessons will focus on 'growing and changing' and 'families and care'. 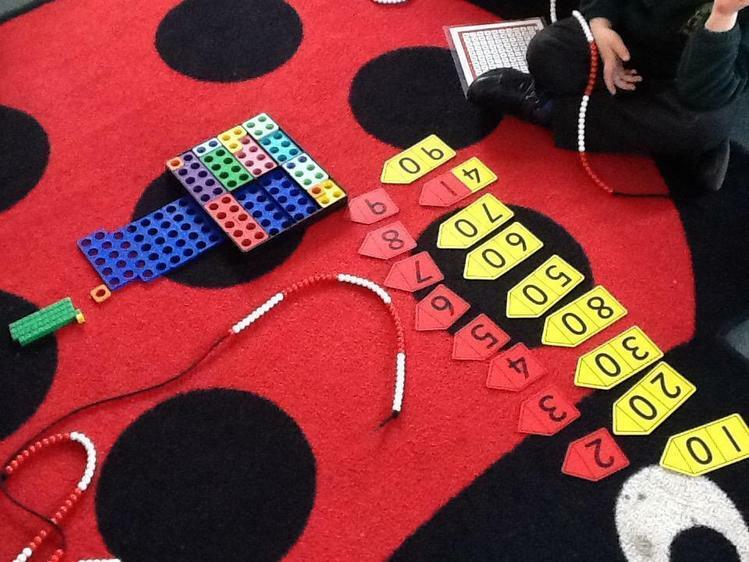 We are struggling a lot with our number bonds! 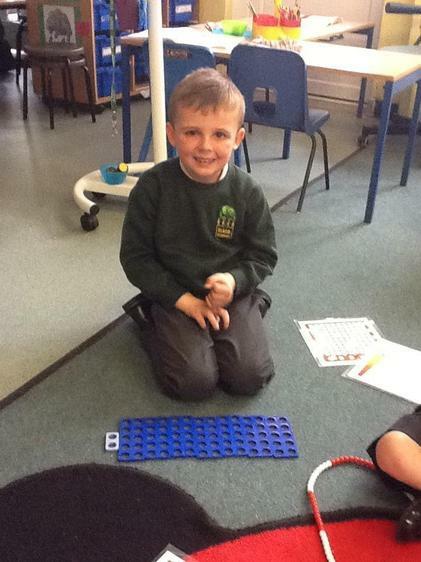 Please will you work with your children at home in order to help them learn some number facts by heart. 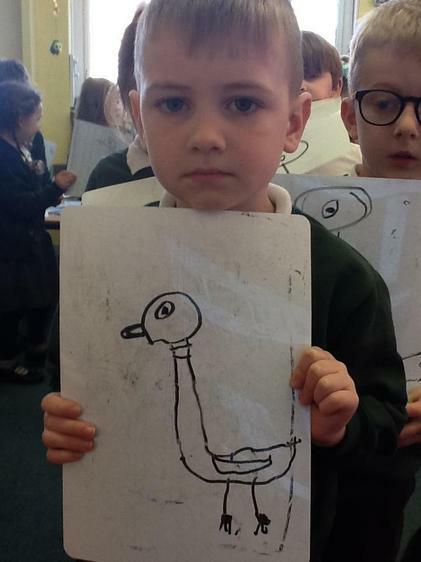 They all need to have their knowledge of number facts to 5,6,7,8,9 by heart. 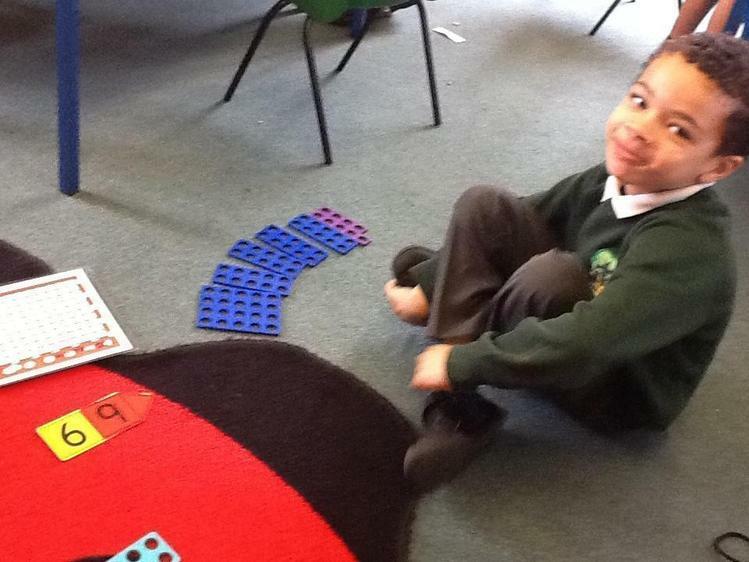 Some are well on their way to learning number facts to 20, but everyone needs to practise this! 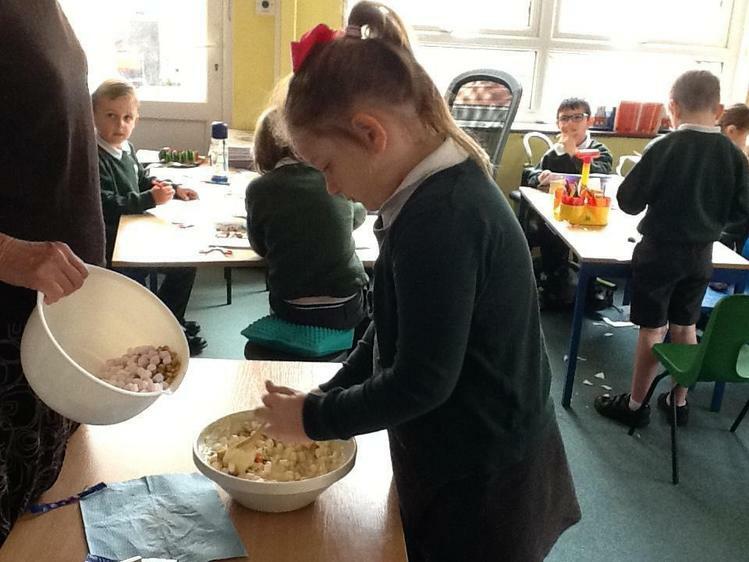 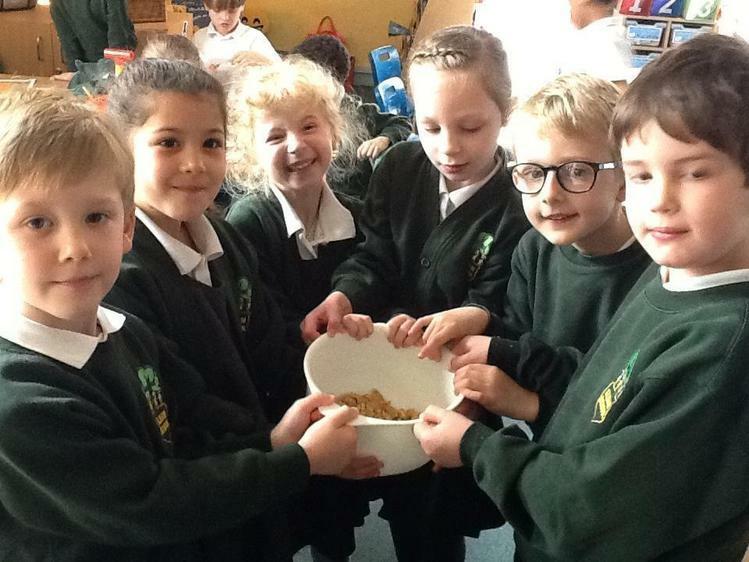 One great way of learning is by having a reward - so when children have been able to say 1 smartie and 8 smarties make 9, 2 smarties and 7 smarties make 9, 3 smarties and 6 smarties make 9, etc, let them eat the smarties! 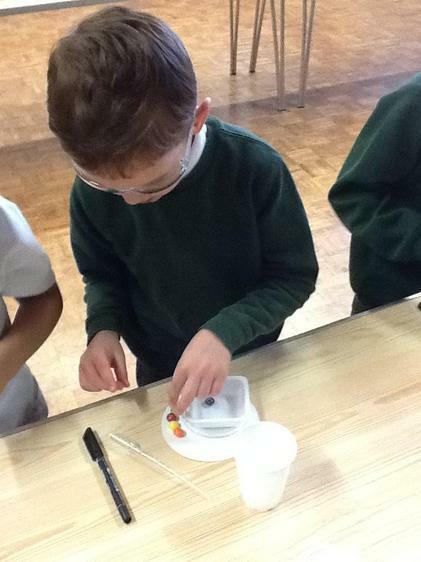 Next week is Science Week and the children will have a science focus every single day. 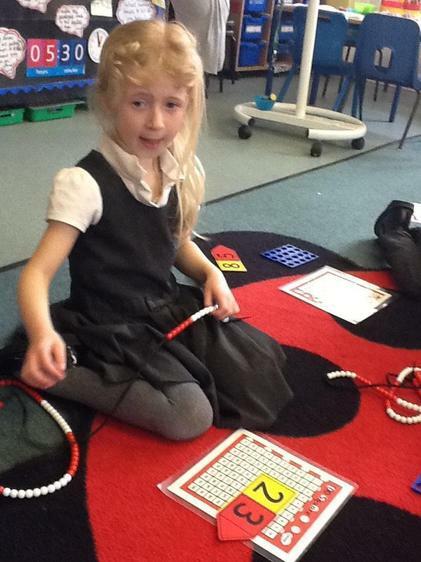 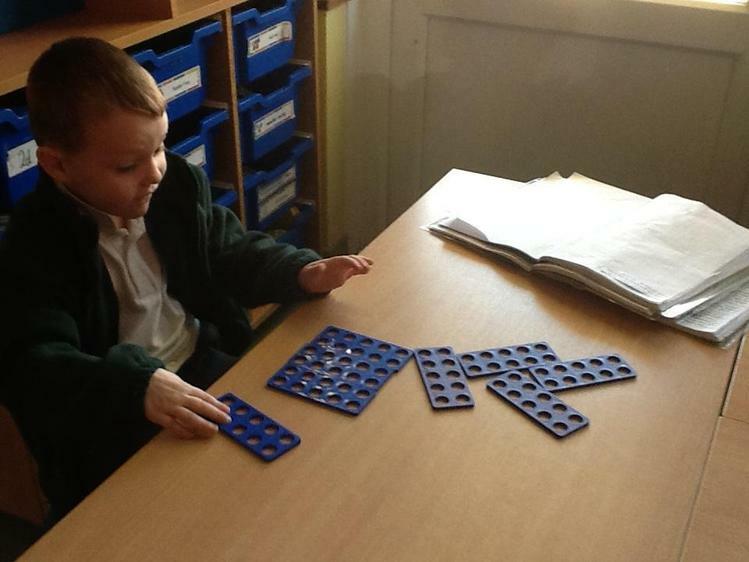 We will continue with our maths learning as well in the mornings. 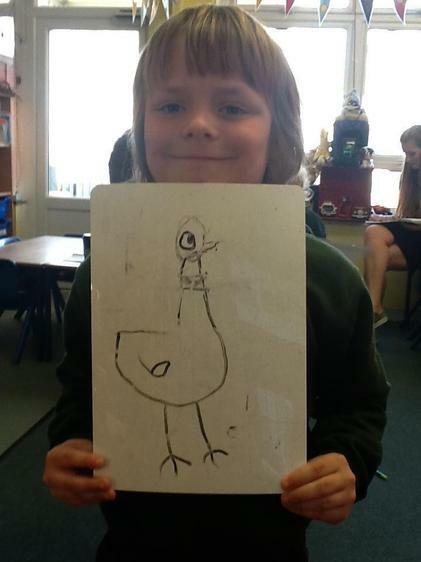 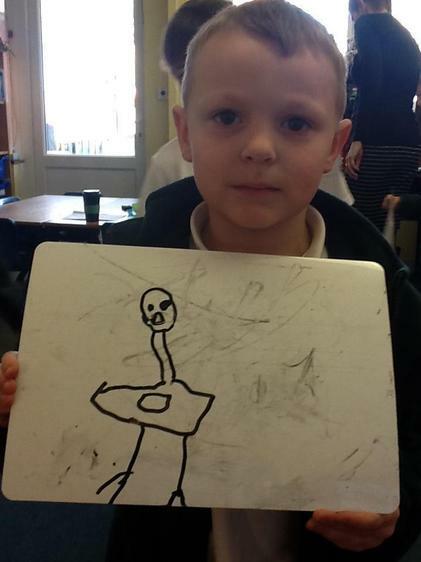 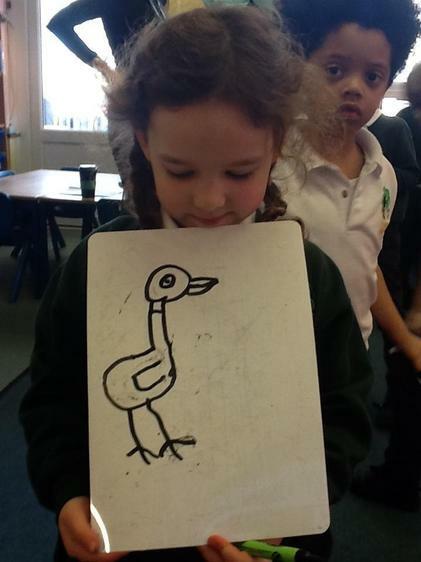 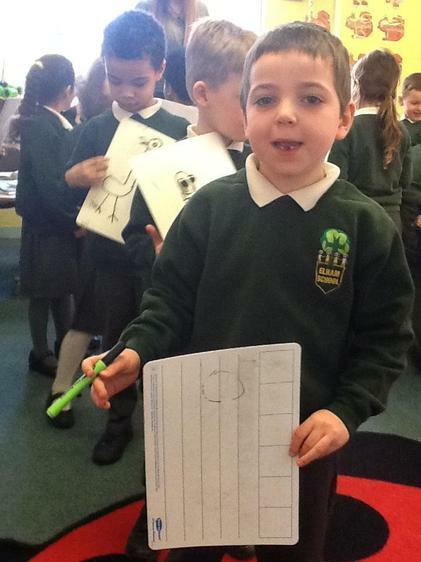 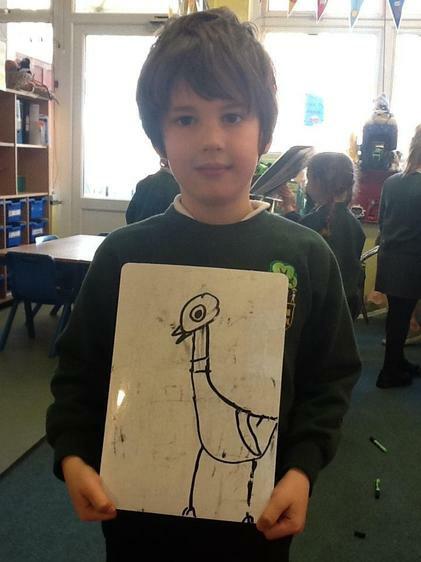 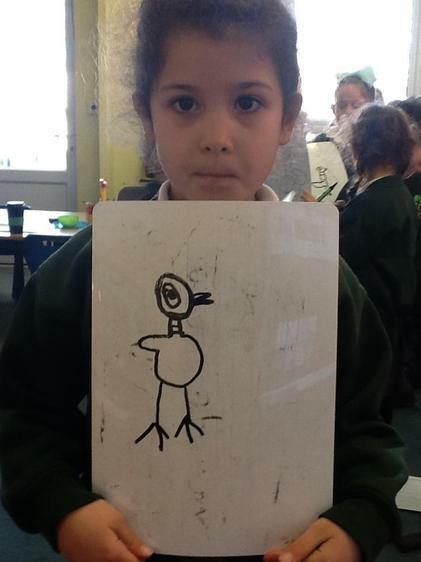 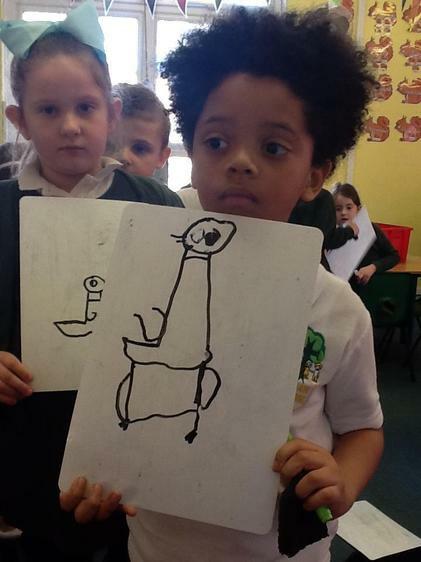 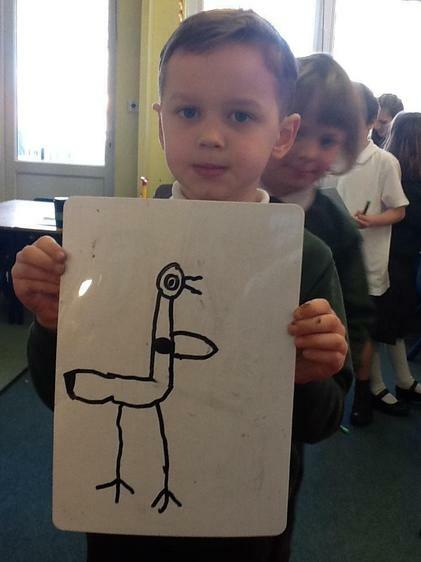 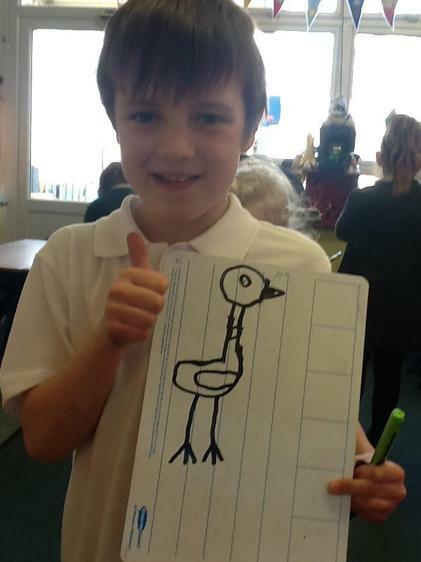 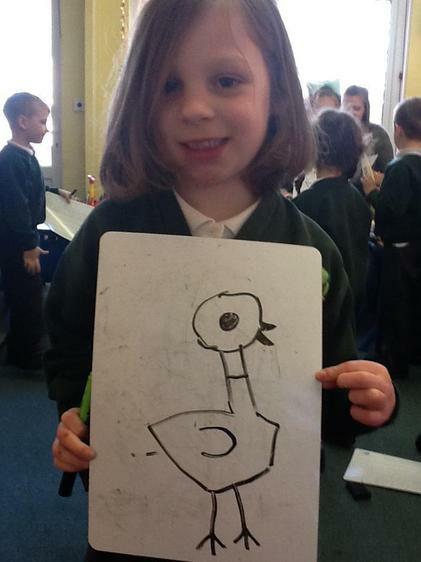 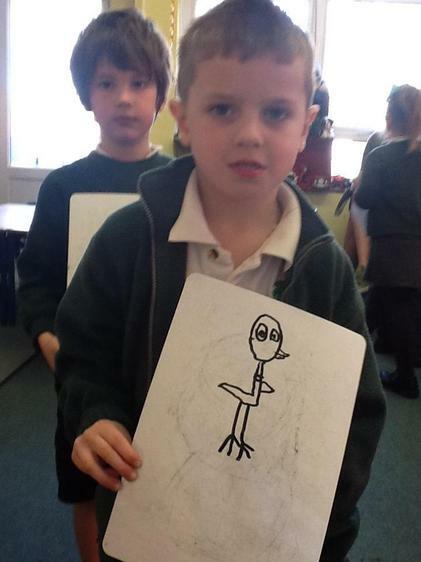 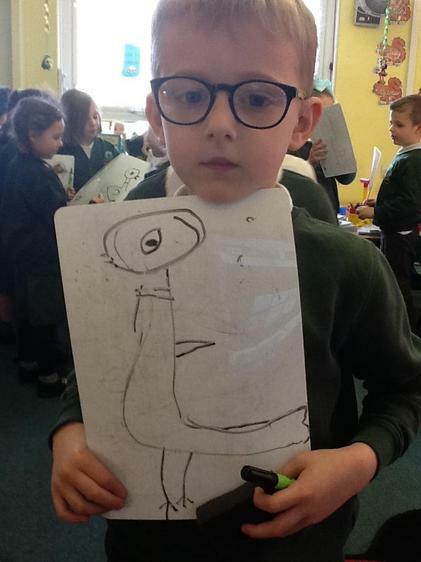 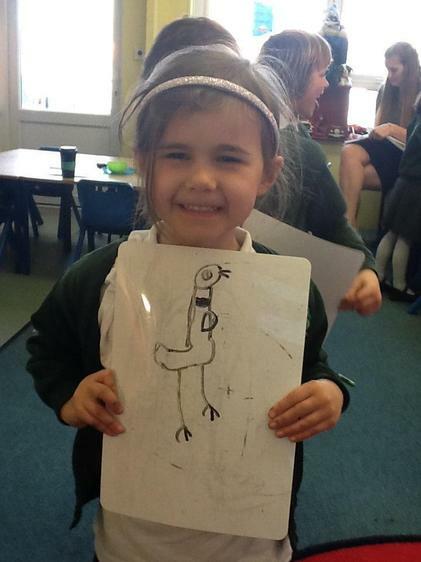 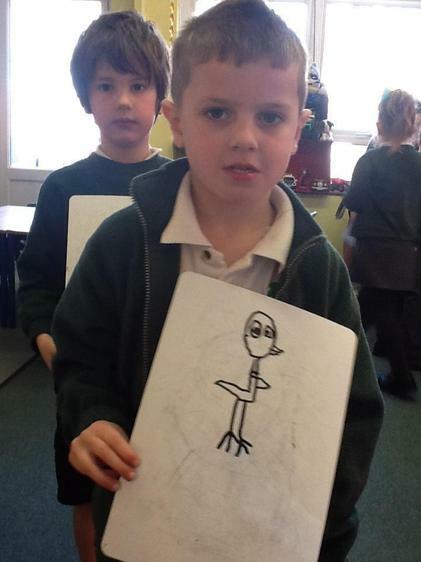 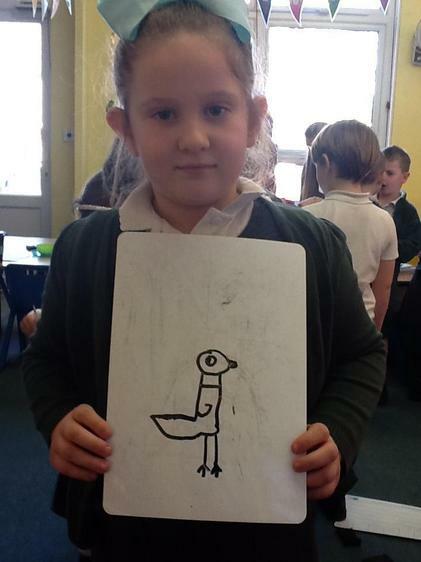 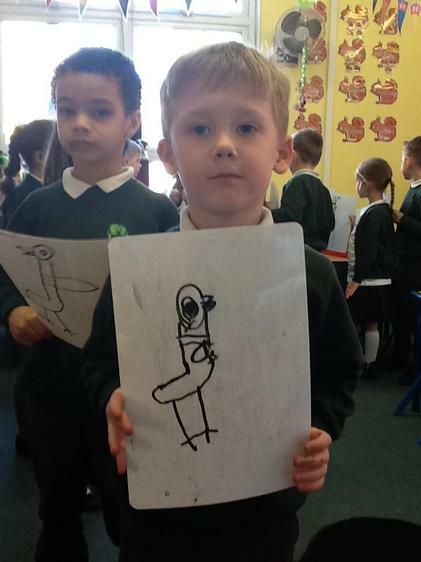 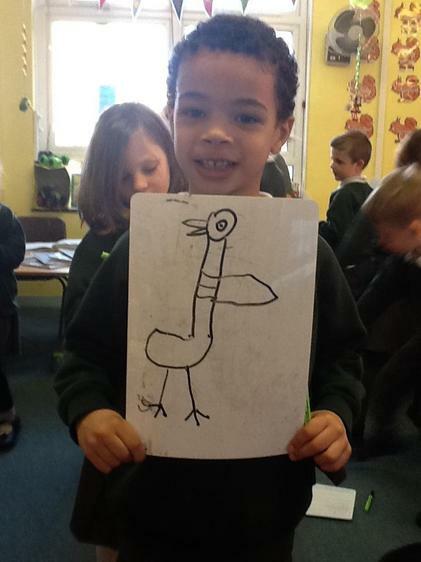 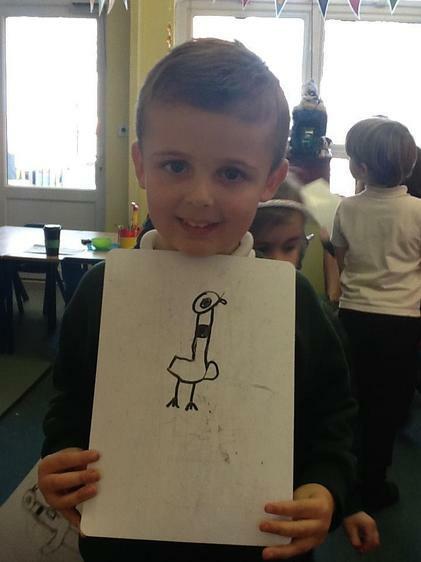 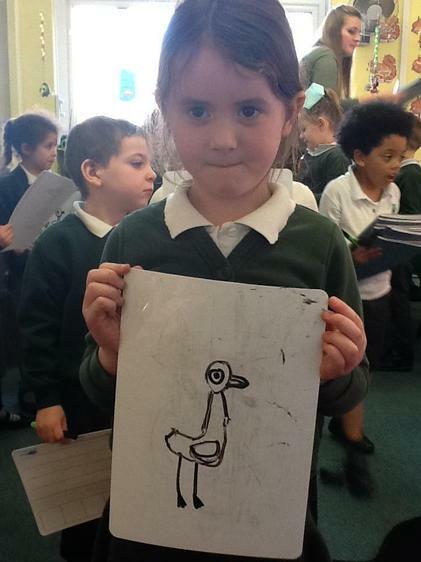 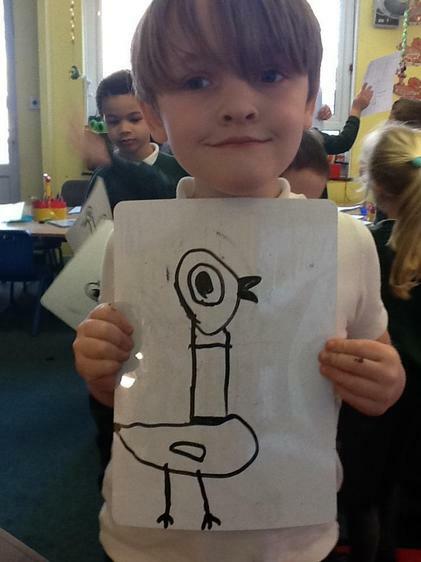 We have followed instructions to draw this pigeon! 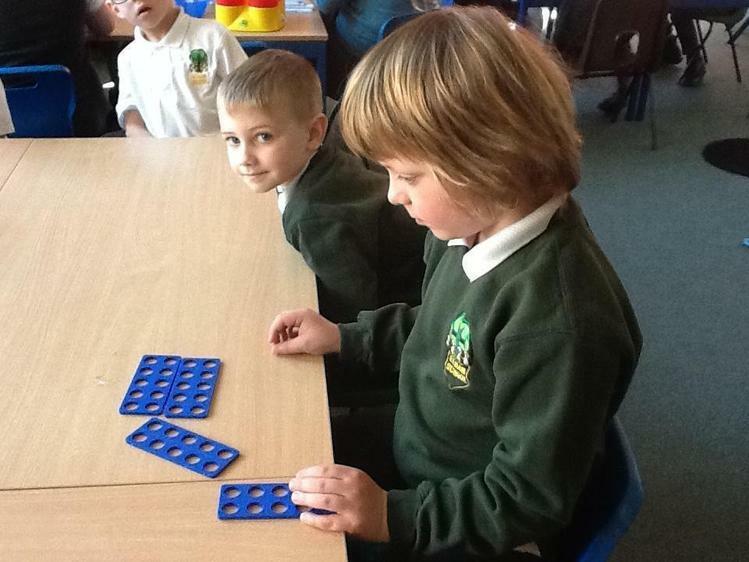 We have started off this week thinking about multiplication (but not using that word!). 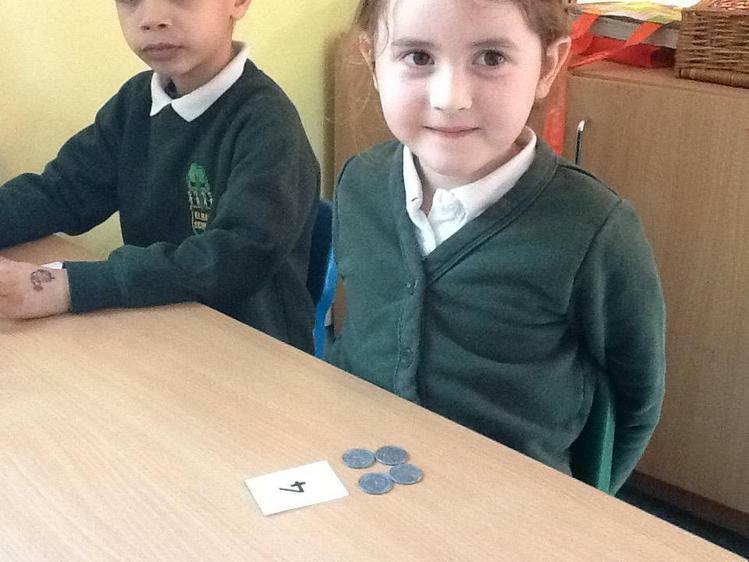 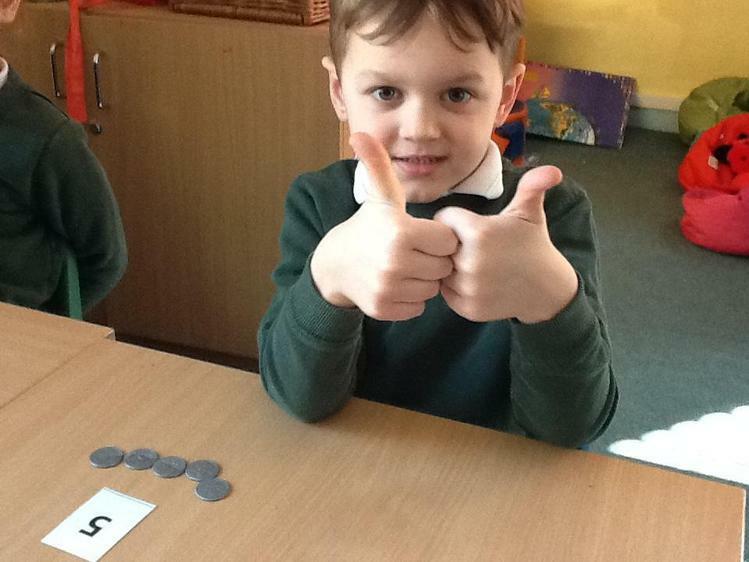 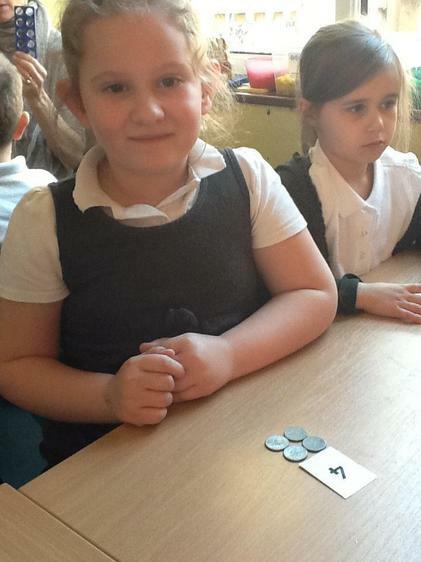 The children have been making 'lots' of 2s, 5s and 10s, working out, for example, what 3 lots of 5 are by counting the legs on a starfish, or 5 lots of 10 by counting up the value of 10p coins. 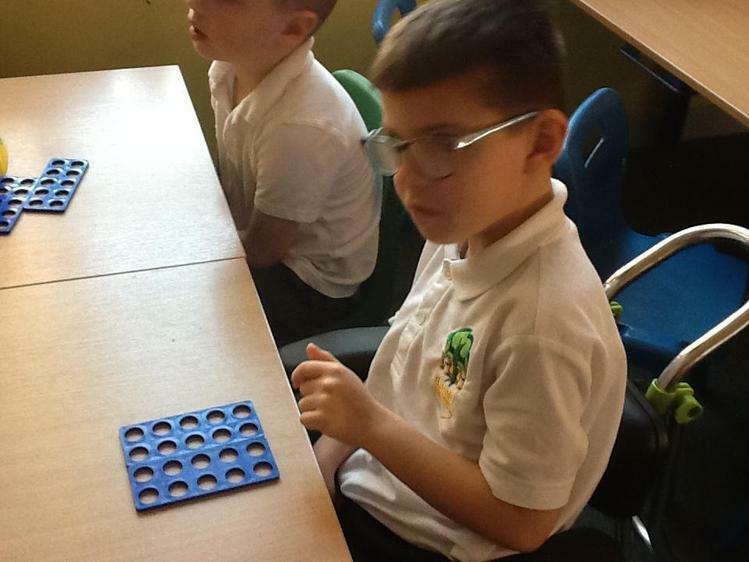 Lots of children have times tables as their targets and have been telling me they are working on TT Rocks.